Led by Partner in Ministry David Carlson (who, incidentally, recently earned a Ph.D. in Religion from the University of Denver), this group study focuses on theologian Marcus Borg’s eminently popular book, “The Heart of Christianity.” In it, Borg suggests new ways to look at Christian faith which he collectively dubs the “emerging paradigm.” For notes on Borg’s lectures, click here. For information on how to get involved, contact David Carlson. 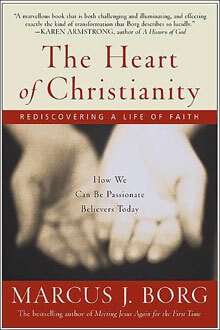 To buy Marcus Borg’s “Heart of Christianity” visit this page on Amazon.com.